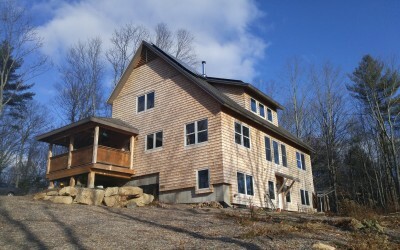 Appropriate Designs is a Connecticut residential green design and build firm. Our roots are in the age old master builder tradition in which the most competent and experienced craftsmen are elevated to the position of designer of the structures that at one time they would have helped build. Our name reflects the belief that good design must be appropriate to the aesthetic, programmatic and budgetary needs of the client. And that the completed residence must be scaled correctly, honor the opportunities and restrictions of the site, utilize solar heating, lighting and ventilating resources, consume little or no energy derived from fossil fuels and be constructed of materials that do no harm to the inhabitants or the environment. 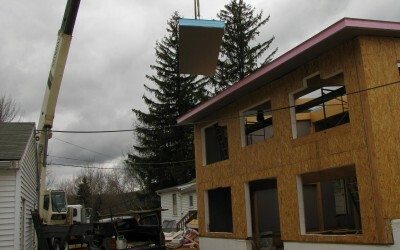 Structural Insulated Panels (SIPS) being lowered into place. A great way to build. 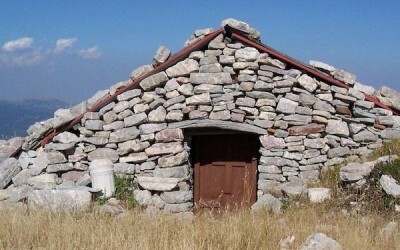 Beautiful example of vernacular architecture. Found in Parrhasian Heritage Park in Greece. By custom design we mean the process by which the special features of your site, your aesthetic preferences and your spatial needs guide us in designing a residence that is respectful of your budget and the natural environment.